Somerset House was built as a school in the Colonial style in 1905 in Paulet Street, which was the first street to be built in Somerset East in South Africa’s Eastern Cape. 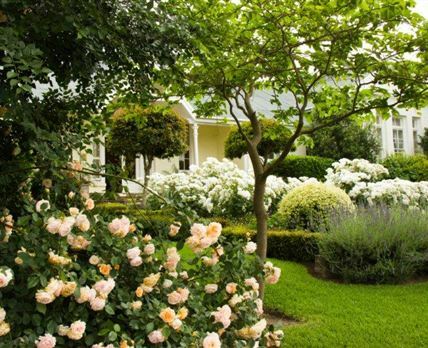 Situated in the quietest part of a peaceful town and backing on to the Bosberg, the ambience of Somerset House is tranquil, scenic and restful. Accommodation is offered in four spacious and airy en-suite bedrooms, each with underfloor heating, air-conditioning, percale linen, and all the extras one would expect to find. The living and dining room is large, comfortable and in excellent taste. Outside is a large, furnished veranda which looks out over the garden to the slopes of Bosberg. Somerset House provides a full breakfast, and the town itself offers several places to eat. For a gourmet experience, simply walk a few doors along Paulet Street to Rosehope where you will be welcomed by one of South Africa’s premier chefs, Janet Telian. Chef Janet Telian also serves supper from the Somerset House and is well-known as a regular contributor of articles to the Lifestyle supplement of the Sunday Times. Click here to enquire at Somerset House.